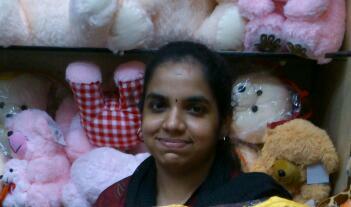 Ms. Divya Lakshmi is InFI’s first Business Applications Development Team (Oracle D2K) member. Following InFI’s professionalization program, she got employed at 3I for last Two years. Her performance is appreciated by all her supervisors at 3I and she is given bigger responsibility. InFI’s first Business Application Development (Oracle D2K) Team was formed in May 2010 and Divya is founding member of the team. Divya performed very well and transformed herself into a seasoned application developer with the help of InFI mentors drawn from industry. She was awarded Star –Performer in 3I for closing (solving) maximum number of application issues reported by customers. She was recognized by 3I and customers for quick resolution and urgent responses. She has received appreciation letters and gifts from many customers. And she was given additional responsibility to mentor junior developers who joined 3I. InFI congratulates Divya on completing two years at 3i Infotech by contributing immensely to every project she is deployed onto. She currently holds the position of Software Engineer and getting ready to play bigger role. Divya ’s expertise is in Oracle 10g, 10g forms and reports , 6i forms and reports, it includes SQL and PLSQL. Divya created her college website which was quite useful to the students and the faculty. Divya can be reached at divya22ks@gmail.com for guidance and help to be a successful developer in Oracle Client/Server technologies.